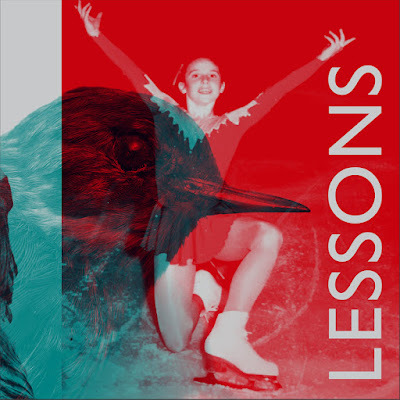 Beautiful album of bright and bracing guitar instrumentals from this Chicago duo collaboration. 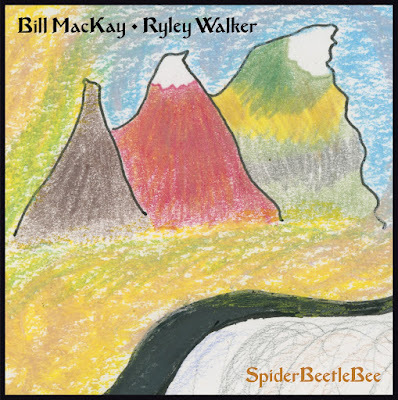 The range of styles spanned over the course of just half an hour is a clue to the open mindedness and sense of adventure of both musicians. There’s a real sense of the shared joy in playing about the whole piece. A gorgeous miniature body of work and in many ways perfect music for this time of year. Bracing is also a word to describe this blast of overbowed fiddle from Laura Cannell of East Anglia recorded in a semi ruined church from her current album Hunter Huntress Hawker. Call it early music. Improvised. Experimental. It is primal and it is stirring. The latest album by Chloe March is another heady trip through electro pop but really that tag doesn't do justice to the range of expression. The air is thick with atmosphere throughout and March is a masterful creator of mood. This is just one of the stunning rarefied synth compositions topped with layers of her remarkable voice. I particularly love the dappled pulse of electric piano when the pace picks up for the chorus. It is also a beautiful sound somewhere between The Blue Nile and David Sylvian and as that would suggest soulful. From his 8th album another haunting number to add to his collection delivered in Crowley’s signature velvet voice which can make men as well as women weak at the knees. One particularly special moment here where the narrator sings of the funeral following his faked death. At which point a vocal chorus lifts proceedings out of the here and now into some higher space. It is the definition of transcendance. The fact that it achieves this with reference to a classic pop croon only makes it more profound. 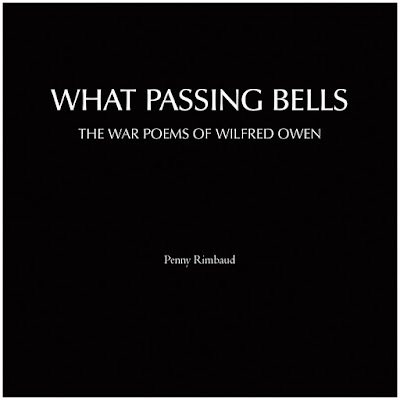 There’s Penny Rimbaud the co-founder of Crass whose voice is a most effective vehicle for the musical words of Wilfred Owen. Backing that are the considerable talents of Kate Short on cello and Liam Noble on piano. It’s world weary with a sly sidelong glance at times. The cello thrums and keens. The piano bypasses chords for the most part playing brilliantly off the rhythm of the words in its restless improvisations. It presents a compelling picture of war in all its banality horror sadness brutality pity but also starkness stillness humanity. I’ve mentioned this on the socials recently but I wanted to highlight it here also. 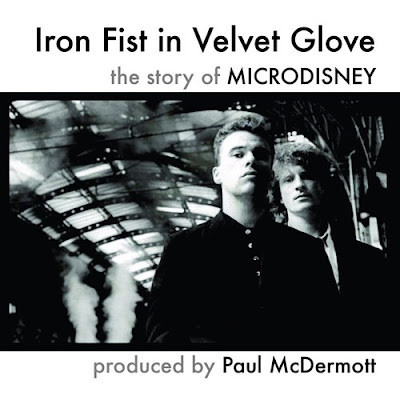 It’s a radio documentary made by a good friend of mine Paul McDermott – you’ll find him around here under Songs To Learn and Sing – about the Cork band Microdisney. I say Cork band – and there’s no doubt they are from here – but plenty of their many many fans probably don’t think of them in that way. What they certainly are is an intriguing, important, sometimes infuriating pop group and Paul’s painstaking piece of work is the definitive document of their life and times. It features in depth interviews with Cathal Coughlan and Sean O’Hagan (as well as dozens of others) whose insights add a huge amount to understanding the band’s music. On the face of it you might not think much connects these too. 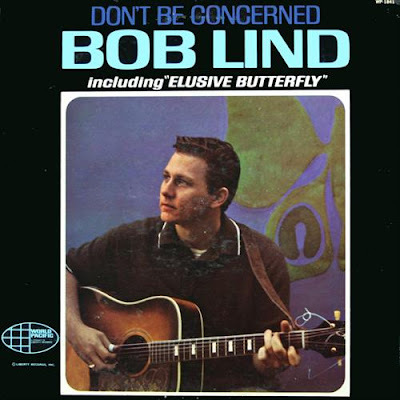 One was a 1960s folk singer songwriter whose deceptively subversive tunes got the fabulous Jack Nitzsche production treatment and who later faded from pop view. The other was blind from early in life who taught himself music and dressed as a Viking to busk on 6th Avenue in New York and whose music has influenced some of the most important composers of the late 20th century (Reich, Nyman, others). But a while back I was playing ‘Counting’ on the show and something about it made me think of Moondog. The arrangements are not very alike. One is a waltz and builds on a bed of thrumming acoustic guitar and an insistent triangle/chime assisted by glorious strings. The other is in wrongfooting 5/4 time (or is it 10/8?) and builds on a simple drum pattern with throbbing sawed violins before the onset of marvellous brass and reed conjunctions. The pastoral proud maybe even courtly atmosphere of ‘The grand old trout’ nodding in the direction of the great Bert Jansch. Sublime key changes and hints of French jazz in ‘Lower Chesnut’. The uplifting addition of tabla drums on ‘I heard them singing’. The energising bends and slides of ‘Lonesome traveler’. A Christmas Cracker this week folks. A journey through some less travelled paths of seasonal music. Plus some classic spoken word from the absolute legend that was Dylan Thomas. There’s a bunch of Best of 2017 cuts in this week’s show (the 2nd last of the year), all of which you’ll be hearing more about when I do my end of year round ups later in the month. Laura Cannell, bracing pre modern invocations. And Bonny Doon, one of the most poignant lyrics of the year wrapped in Silver Jews clothes.